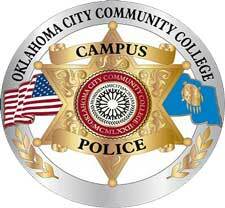 Recent reports from OCCC’s campus police department demonstrate responses to suspected thefts and menacing solicitations. On Feb.18, Building and Campus Services Manager Kevin Brannan reported a possible theft. According the report, Brannan stated at 5:15 p.m. Feb.17, he witnessed a WFF Facilities Services employee carrying a large plastic bag out of the main building. After reviewing surveillance camera footage, Brannan determined that the suspect had removed rolls of toilet paper from the building and took them to her vehicle. Brannan reported that he contacted WFF Supervisor Tony Hunter and showed him the footage. Hunter confirmed that the suspect was one of WFF’s employees. According to the report, Hunter stated the suspect was terminated from employment but refused to provide the suspect’s name. On the same day, campus police officer Andrew Schmidt was dispatched to the foyer of the Main Building after receiving a report that a solicitor was on campus causing a disturbance. The report states that solicitation of any kind is a violation of college policies. Based on the police report, Chris Lamont, a visitor to OCCC, was loud and disruptive to students and faculty members while attempting to solicit signatures from students. Lamont reportedly refused to provide his identification and repeatedly raised his voice disturbing more people nearby. Because of the aggressive action and disturbance, Schmidt placed Lamont under arrest and transported him to the Oklahoma County Detention Center on complaints of Disturbing a State Business and Obstructing a Police Officer. On Feb.19, obscene, harassing and threatening phone calls were reported. Officer Zachary Andrews reported that two full time staff had received a series of phone calls from a suspect, who insisted his calls should be connected to the president. Based on the report, the suspect commonly attempted to promote business ideas or projects to OCCC. When the suspect was informed that his request to speak to President Jerry Steward had been declined, he reportedly became agitated and used foul and demeaning language. According to the report campus police received copies of emails dating back to 2012 that document similar calls from this individual.